I’ve been writing Convince & Convert for more than two years, and have produced more than 300 posts. Mostly from me, with some terrific assistance from talented guest authors. Last week, I was on a content marketing discussion panel (moderated by Jeff Rohrs) at the ExactTarget Connections conference. I was joined by Joe Pulizzi from Junta42, Ann Handley from MarketingProfs, and Brad Kleinman from Online Marketing Connect. At one point we discussed headline writing and what draws clicks within the social media content universe. I had some anecdotal stories to share, but I’ve never looked at it methodically until now. I mined my Google Analytics and put together a list of the 25 most popular posts that have ever appeared on this blog, ranked by total number of page views. Is Twitter for Business Even Worth the Trouble? Does Your Facebook Page Have a Pulse? Is Your Company More Interesting Than My Wife? Time matters, but not in a consistent way. Of the top 10 posts, only number 4 and number 10 are semi-recent. Most of the rest are from spring 2010 or earlier. Unless you happen to catch lightning in a bottle (#4), the incremental page views stemming from people linking to these posts or finding them on search engines adds up. Search does matter. By my rough calculation, approximately 50% of these top posts have some sort or relevant, viable search term in the headline (and thus the page title and URL). I’m not counting search terms like “Facebook” because it’s unlikely Convince & Convert will ever have enough juice to rank for such a broad term. I may run a similar analysis and rank my top posts by page views coming from search engines. That would be interesting to see how similar each list is. The numbers and lists thing works. 15 of my top 25 all-time posts have a number in the headline. It’s human nature, especially for a complex and ever-shifting topic like social media, to want complexities broken into morsels. The appetite for tools content is huge. Despite the fact that I try to focus my work and my writing where possible on social media strategy and social integration issues, approximately 16 of my top 25 posts deal entirely or primarily with one or more social media tools and tactics. My friends at Social Media Examiner (where I first published #19 and #21) have built a very successful business on this concept. On a related point, overlap in social media isn’t as large as we (or at least me) thinks it is. #19 and #21 appeared on Social Media Examiner approximately 4 weeks before they ran here, and each generated 1,000 + page views on SME before they generated a single page view here. It doesn’t appear that the SME audience is duplicated here, or vice versa (at least not significantly). Extra resources are important. I don’t write a lot of posts that include presentation slides, but I’ve done it at least 15 times. On this list #1, #5, #7, #11, #14, #16 all include a presentation, or free social media tool. This is a shocking ratio to me. I wonder if presence on Slideshare has something to do with that? Any SEO geeks want to weigh in on that? 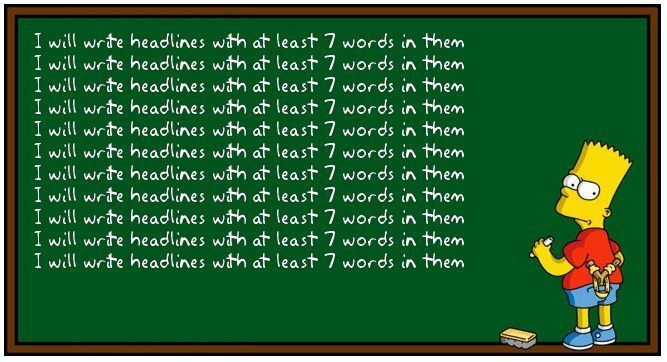 Clearly, I write longer headlines than many other social media bloggers. But this distribution surprised me. 21 out of my top 25 all-time posts have at least 7 words in the headline. Do longer headlines explain the contents of the post better? Is it extra SEO fodder? I’m not certain, but it’s pretty clear that longer works – at least here. The thesaurus remains underrated. In my social media consulting, I often emphasize with my clients the importance of using powerful, unexpected and unusual words and turns of phrase in headlines – to break through the content clutter. This appears to have worked in the case of #2, #4, #6, #11, #14, #17, #19, #23. In #23 for example – which is about building a dynamic Facebook fan page – if that headline was “Ways to Make Your Facebook Page More Engaging” would it have made this list? I don’t think it would have. This was an illuminating exercise for me. Thanks to my crack assistant Jess Ostroff for helping with the research. What content lessons do you take away from these results? I’m sure there’s patterns I’ve missed.